First review of BETWEEN THE TWO ETERNITIES. 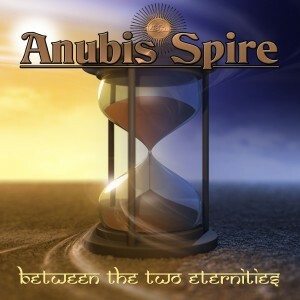 the latest album from Anubis Spire “Beyond the Two Eternities” is one of their best yet!! excellent and inventive playing from their founder and veteran lead/rhythm guitarist and primary songwriter Bill MacKechnie ranges from melodic/ballad style, to esoteric world/jazz/fusion, to straight up blistering rock and roll… there are also excellent contributions from keyboardist David James Sweet, who adds a prog rock element to the album on his songs “Zepi Tepi” and “The Legacy”, Jim Rustmeyer and Kerrin Johansen for their beautiful ambient electro track “The Releasing Tree” , as well as fantastic drum work from the newest Anubis Spire member Fred DeRuvo… he and MacKechnie have an excellent musical chemistry and they have a similar feeling and sound on some of the songs, to the work of Mahavishnu Orchestra and the interplay between John McLaughlin Billy Cobham, while still remaining original and having their own musical voice. BETWEEN THE TWO ETERNITIES now on CDBaby! Listen To Samples of The Entire New Album! Like Pink Floyd? Hear THE LEGACY from the new A.S. 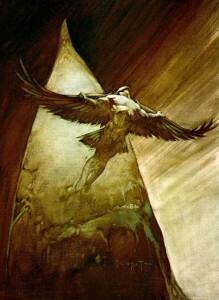 BETWEEN THE TWO ETERNITIES album. PRE-RELEASE FAN and FRIENDS FLASH SALE!